Step 1 Simmer the cranberries in one-half cup Calvados in a small saucepan over low heat until all the liquid is absorbed, about 10 to 12 minutes. Set aside. Step 2 Place the egg yolk in a blender and add the salt, lemon juice, vinegar and mustard. Process until smooth. Add 2 tablespoons Calvados and process briefly. With the motor running on low speed, slowly drizzle in the walnut and peanut oils. Add the remaining Calvados to taste. Chill at least 30 minutes. In Recipes-list.com we have selected the most viewed recipes from category - Salads Sides Vegetarian . Enjoy the best recipes specially selected for you! 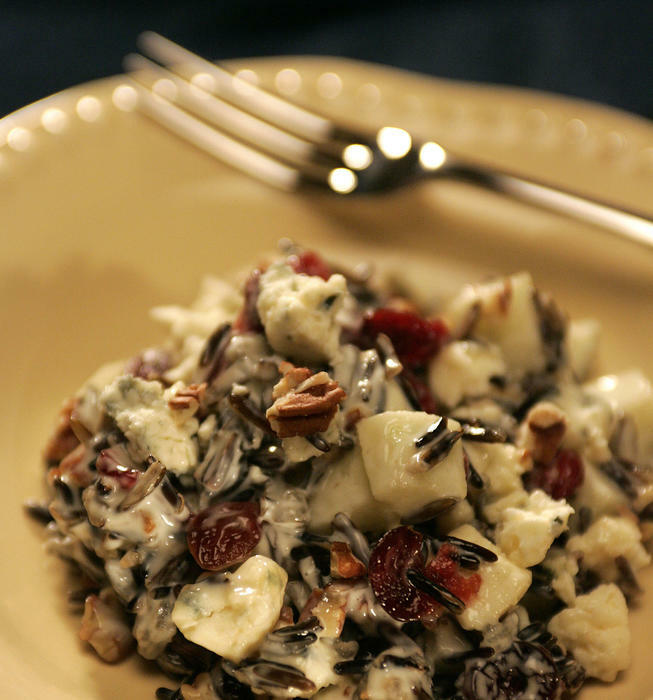 Apple-wild rice salad with blue cheese and Calvados dressing is the right choice that will satisfy all your claims.